Welcome to the official space to get connected to what’s happening in the albinism (AB) community. There are a multitude of grassroots organizations and special interest groups that cover everything from parenting to beauty chat. Pop on over to our affiliates page to see who’s who! 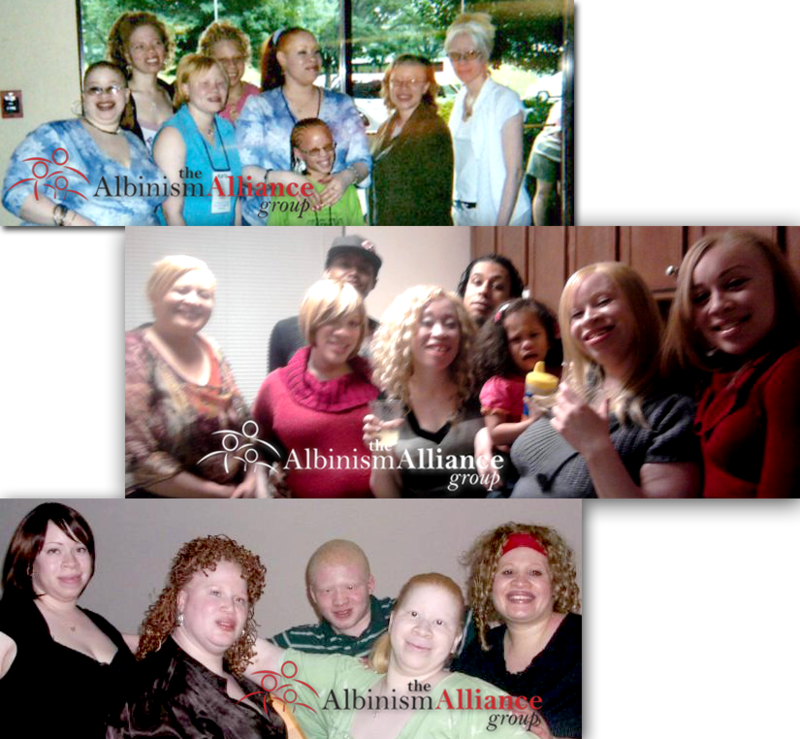 The Albinism Alliance Group (TAAG) was co-founded in 2003 by Lee G. Edwards and Rae Lowery. The group was formed by merging efforts of the Atlanta Area Support Group and online forum Blonde Black Cuties. The initial concept was to bridge the gap of traditional support group and technology, by developing an organized affiliation for persons with albinism with in the African American community. Since conception, the organization has grown to a 379 recognized individual supporters and participants in online forums for The Albinism Alliance Group. You can find us on Facebook and Twitter. TAAG is a social advocacy organization, facilitated to create a positive support network for and of persons with albinism, friends and family. Supporters are welcomed and without you the group isn’t possible. The group initially started on Yahoo Groups and this early communication forum is still around. Here we have a photo gallery, lists of past events and awesome commentary that shows where and how we started. The Albinism Alliance Group has grown tremendously in 10 years and it has been our transitional goal to become a viable source for information, keep persons with albinism connected to resources and each on a daily basis.